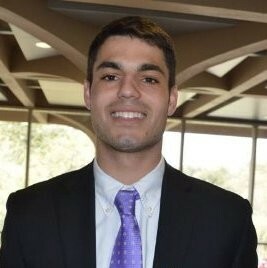 Christopher Cazenave is a junior at Louisiana State University majoring in Finance and is enrolled in the E.J. Ourso School of Business. Christopher is the graduate relations chair for the international Fraternity of Phi Gamma Delta as well as an active member in the Student Finance Association and the professional business fraternity of Alpha Kappa Psi. He was raised in Baton Rouge while graduating from local schools such as St. Aloysius and Catholic High School. Christopher also volunteers regularly at local charities including St. Vincent de Paul and the Greater Baton Rouge Food Bank.